WESLEY CHAPEL, Fla. -- One size doesn't always fit all. Barrett Wood, general manager of the BannLynch Golf academy at Saddlebrook Resort, directs anyone from kids to adults. That's the philosophy of Barrett Wood, general manager of BannLynch Golf, the teaching academy at Saddlebrook Resort, located about a half-hour from downtown Tampa and an hour's drive from Orlando. Saddlebrook is a golf resort that is more known for its tennis, having trained such stars as Jim Courier and Jennifer Capriati, but it is making itself famous as a top golf academy and resort. 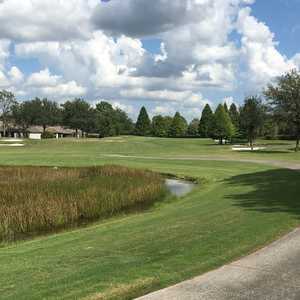 With two championship courses and the golf academy, Saddlebrook is a great way to get in some serious golf lessons while being away from the traffic of Orlando and Tampa, but it still lets the golfer and family stay close to the big cities. Wood directs the academy on site, but Steve Bann and Dale Lynch are the masterminds behind the golf academy. Among the notable golfers on the PGA Tour coached by Bann and Lynch are K.J. Choi, Geoff Ogilvy, Stuart Appleby, Aaron Baddeley and Kevin Na. Saddlebrook Resort may be a little out of the way, but it hasn't stopped some of the top players on golf from dropping by. "The first thing we do is avoid the one-size-fits-all mentality," Wood said. "We are trying to create a good swing and make them work around their strengths instead of doing everything with the same philosophy, because everyone is different. We try to cater the game to you and not everybody else." Bann was nominated to the World Golf Hall of Fame in 2011 and was the 2010 Australian PGA Teacher of the Year. Lynch, also from Australia, was ranked No. 11 as the Most Influential Person in Australian Golf over the past 40 years. It's an impressive staff as well, with three Master instructors and two Certified instructors. Wood said anyone willing to pay the price -- it can be a bit steep -- will come away from the Saddlebrook Resort experience with a better game. "We have fitness instructors, the top teachers, and the courses are great," Wood said. "We have two of the most recognized teachers in the world, and they are on site a lot of the time. They are two of the most under-recognized coaches in the world, and they keep a low profile, but they are great, and their record speaks for itself." The golf academy offers plenty of other amenities. There is a newly renovated 20-acre driving range, state of the art golf-swing analysis software, large putting and chipping greens, a private teaching area, and practice facilities for every shot in golf. There's more. Choi designed a clay court area that exists nowhere else in the world where golfers can work on their ball contact. "We have things no one else can offer, and the courses are in great shape all the time," Wood said. Arnold Palmer designed the two golf courses at Saddlebrook Resort -- the Palmer Course and the Saddlebrook Course, and both are challenging with plenty of tricks. 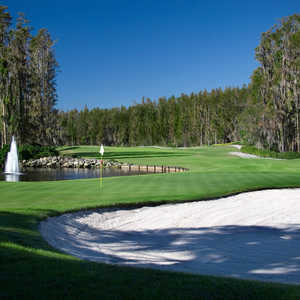 The greens are undulating, and there is some change in elevation, which is rare in Florida golf. The first tees of both courses are right in the center of the resort, so golfers have little distance to walk from their villas to the first tee. The resort itself features facilities that can be used for corporate events, meetings and conferences, many junior camps, and also offers a great spa getaway for those who don't want to play 36 after a grueling hour lesson. Since Walt Disney World is close, it offers a chance to get away from golf for a day while still enjoying the facilities. There are more than 100 deluxe hotel rooms and many smaller accommodations that can suit any budget. There are seven restaurants on the property and plenty of amenities for the kids. There is not a lot of night life or things to do outside the Saddlebrook Resort, but there's really not much of a reason to leave. With two courses -- and several more within a few miles -- the golf is great and a fine way to practice the lessons learned during a stay at Saddlebrook Resort.